Throughout his career, Karim Hadjab has engaged in seeking out various fashion pieces from around the world, while seeking out an original manner of creation through uniquely diverse approaches. 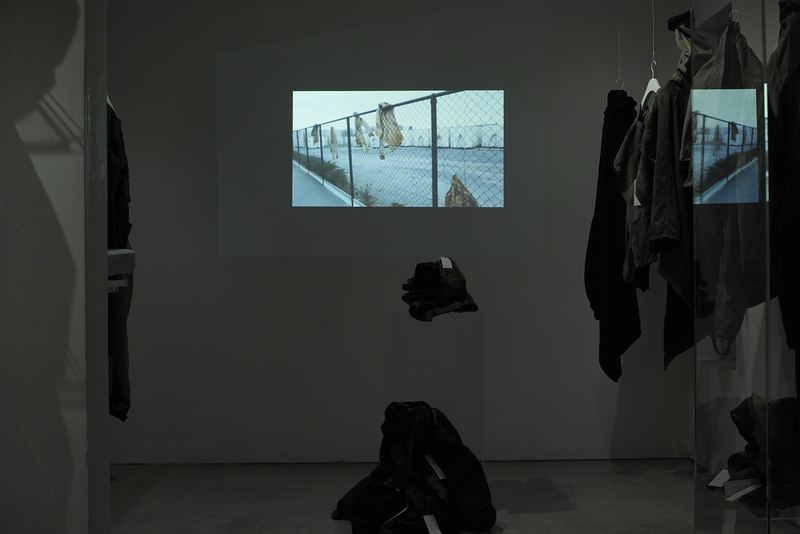 Such as “4Saisons” in which he places clothing in natural environments for a year and allows them to gradually transform through powers of nature, “Hand Finish” that entails adding further expressions to these pieces at the hands of artisans, “Bacter” that brings about change to items through artificial micro-organisms, and “Argile” that appropriates traditional North-African dyeing techniques, Hadjab has constantly evolved his means of personal expression by drawing inspiration from various happenings including both the discoveries and failures experienced during his process of creation. One day, in a particular location in France, Hadjab encountered a colossal mass filled with countless pieces of clothing. While many of these clothes that had been neglected over a long time were no longer fit for wear, the texture, appearance, and at times the changes reminiscent of textile design observed in several pieces had presented a significant impact on Hadjab. Considering ways to transcribe these sensitivities into the context of contemporary clothing, he arrived at working with today’s latest printing technology. The new creation label APRÉS was conceived as a result of the designer’s exploration and repeated process of trial-and-error in experimenting with this special equipment and technique. 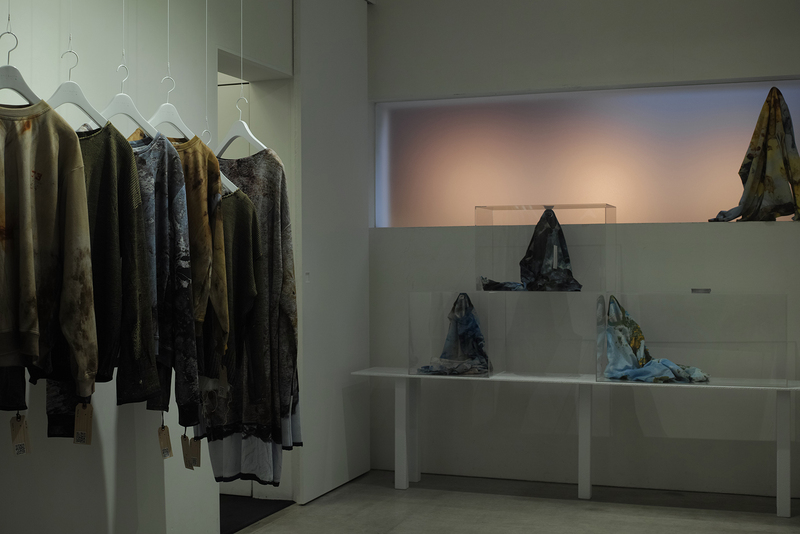 The exhibition at LAILA TOKIO held to commemorate this first collection, presented and sold creation pieces from 4Saisons and Argile in addition to those of APRÉS. 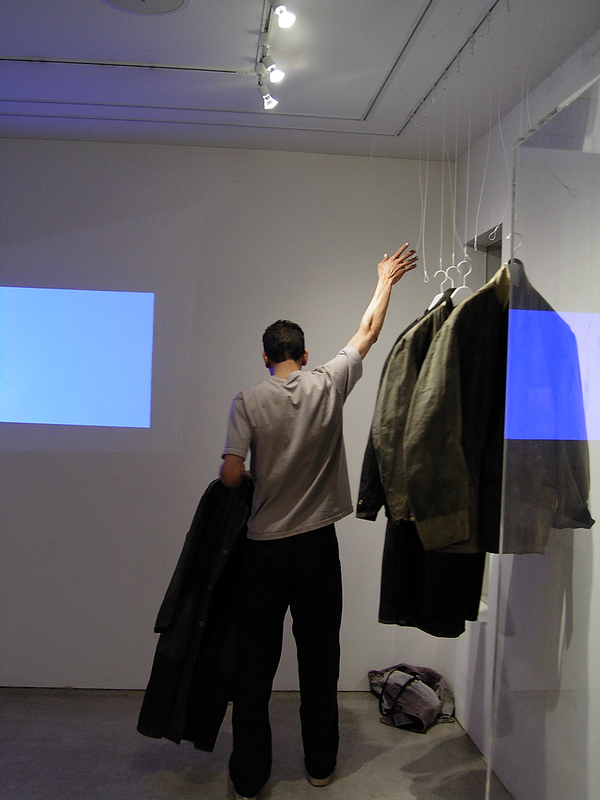 Karim Hadjab also attended the launch in Japan, where he further articulated upon his practice and the world of his work.